For most colleges and universities in the US, a new school year has begun. Here in the Bay Area, we are home for many higher learning institutions from Stanford to Berkeley to Mills. Regardless of your major and minor, one major thing that helps you in the new semester is being prepared for the year ahead. For students who experience hearing loss, preparation for a new school year requires one extra layer of care and attention. When’s the last time you had your hearing tested and your hearing aids checked? For most teens, their parents/guardians are responsible for their health and well-being while they are in grade school and high school. Now that you’re entering college, you have a newfound level of independence, and with that comes great responsibility. If you experience hearing loss, it is important to take an annual hearing test. Our hearing abilities are not stagnant and will change over time. Most hearing aids last five to seven years. If you have been wearing hearing aids since high school, it may be time to update your aids before you head off to college. Hearing aids are constantly evolving in terms of technology and design. These days, hearing aids are incredibly sleek little machines that are discreet in aesthetics and powerful in listening features and wireless connectivity. Make sure you’ve got the best hearing technology at your disposal as you enter the classroom. If you live in the Bay Area and go to school elsewhere, visit us at Bay Area Hearing Services for an annual hearing test and hearing aid maintenance before heading off to school! If you are a student in the Bay Area, check out our services and contact us if you need help during your school year. In the same way our parents or guardians managed the administrative part of our elementary and secondary schooling, we must learn how to become our own advocates in a higher education setting. If you haven’t already, take some time to sit down with a hearing specialist and understand the ins and outs of your hearing abilities. Review your audiogram after an updated hearing test to learn more about exact degree, configuration, and type of hearing loss you experience. 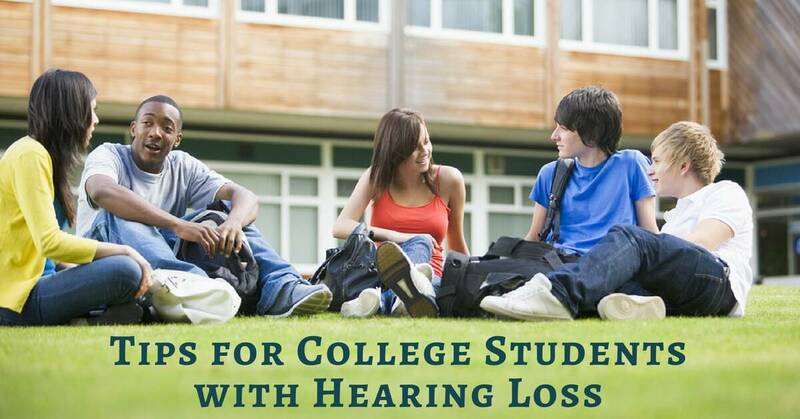 This information is important as you move forward in your academic career and will help you advocate for your specific hearing needs. It will also help you figure out the best assistive listening technology and hearing devices you require to hear your best. If you haven’t already, take a look at your college or university’s website for more information on disability services. Whichever way you choose, letting your professors know your needs makes it easier for them to accommodate you in the classroom. At Bay Area Hearing Service, our team of hearing professionals is proud to serve folks in the Bay Area. We provide comprehensive hearing tests, hearing aid fittings, and hearing aid repairs and maintenance. If you need to update your hearing aids or visit us for a hearing aid cleaning, contact us today. We wish you the best of luck for your new school year!